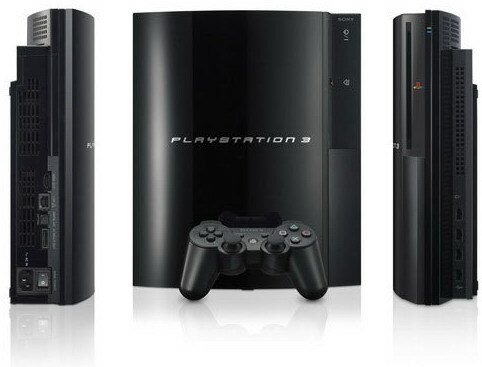 Manufacturer game console PlayStation 3, Sony plans to equip the console with football simulation game FIFA 11 and Pro Evolution Soccer 2011. This promotion is only available in South American countries. Reported by Softpedia, Buyers in South America will be able to choose between FIFA or PES game when buying the PS3. The selected game will be directly installed in the console gaming hardware. This program is an attempt by Sony to attract the attention of football lovers in Latin American countries. Because football is the most popular sport in the region. In addition, the program is deemed capable of representing gamers assessment of these two famous football game. FIFA 11 which is made by Konami going head to head with PES 2011 to reach the market in South America. Gamers can compare the quality of the games. Sony still has not set retail prices for the products. The program will take place in countries such as Argentina, Chile, Peru, Mexico, Colombia, Panama, Costa Rica, El Salvador, Nicaragua, Brazil, Honduras, Paraguay, Uruguay, Guatemala, Ecuador, Venezuela, and Bolivia. Ah, it’s too bad that the promotion is for South-America only. However, just the fact that Sony includes these games in the PS3 package is actually kind of them to do, as they also state that they do it in order to raise the popularity of football down in the South. I would just like to say that I enjoy both all the released FIFA and PES games which has been released till now, and I’m always looking forward to the new releases. Especially FIFA is really getting better for every year, but I can still remember when the graphics were like 2D – a charm in itself! Hi,your article is good... i love playing games, by reading your article i got some information about playstation3. Not a bad idea. But I will wait for a ps3 gran turismo bundle. Until then no Ps3 for me. Wow.. thanks for the great info on PS3. I'm a huge fan and knowing that you offer this information is great. Too bad this promotion wasn't available here in the states! hi, you okay? very good info, great work! Here in Brazil, not worth the sony do promotions, because the Xbox outselling the PS3. Because the games are copied xbox, pirates, sold for $5 reais = $3 dollars!!! I am an expert of PES Game, from PES 6 to latest edition. However, it was pity that it was only in south America. We are expecting to all other countries. Nowadays, the 3-D technology has already introduced to our life. I have tried it in several games, which were fantastic and awesome. I expected to apply it in the FIFA or PES game in the future. PS 3 is an excellent product for most game player, although is alittle expensive. I have played these two games on the computer, however, it is quite better to play it on the PS 3. I am waiting here to try these two games on PS 3. Great idea by Sony trying to raise the profile of soccer. This is something good, but its also a big bummer as it is only being promoted in South America. If its to promote Football as a whole, they should have considered many other countries. FIFA and PES are my favorite games! I wonder how it would looks like if we got it. Playing football on the couch?? I like the PS3 but don't care much for Fifa, wished they added some 3D games. Thanks for sharing. I like football manager..
PES 2011 comes with a detailed stadium editor and the usual wealth of opportunities to tinker with formations, teams and leagues to your heart's content, of course if all you want to do is play your friends or the computer you don't even have to touch the options, but it is good to know that they are there for those who do want a deeper experience.